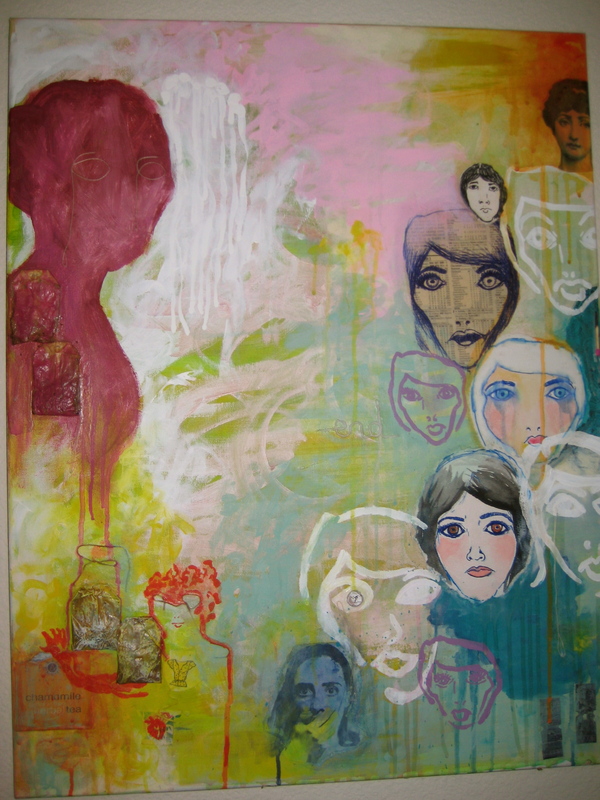 This entry was posted in Uncategorized and tagged color, drawing, faces, mixed media, painting, self portrait. Bookmark the permalink. This is one of my favorites. I love how you used the string for the eyes on one of the faces. That is a very striking piece. I think your use of the various forms of the self portrait was very effective. Beautiful composition and color scheme.